Business interruption insurance is a type of insurance that covers losses related to an interruption of business. These interruptions can be a result of damage to goods or property owned by the insured. 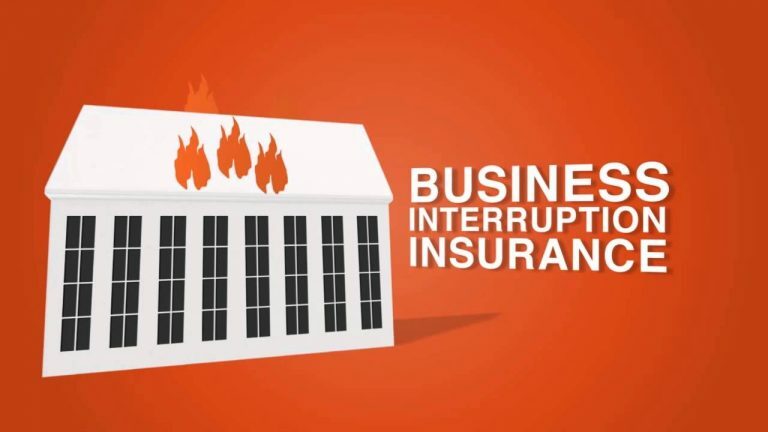 Contingent business interruption insurance is an extension of that used by many MLM companies. It covers damage to properties that are directly involved in business operations but are not owned by the insured. As a business owner, you need to understand what this insurance is and how it can benefit your business. Here is a guide on understanding contingent business interruption insurance. Contingent business interruption insurance (CBII) covers lost profits or expenses that result from an interruption of business at properties owned by the insured. This is very different from landlord insurance. The “contingent” properties are considered as such because they affect your business in some way. They may be suppliers that manufacture vital parts for your product. They may also be fellow businesses you rely on to attract customers. As long as they fit these criteria, they are considered contingent properties. Damages are usually the result of unforeseen circumstances. If your contingents suffer physical damage due to events out of their control, they will be covered. CBII does not cover damages you are responsible for. Remember these basics for understanding contingent business interruption insurance. When Do I Need CBII? Contingent business interruption insurance is useful in a lot of situations. However, its necessity depends on several different factors. Firstly, you need to ask yourself if you rely heavily on a single manufacturer. Some businesses have multiple suppliers that create a variety of components. Unfortunately, there may be some components that are exclusive to a single supplier. If that supplier were to have their business interrupted, you would not be able to assemble your product. CBII would come in handy in this situation. Also, you need to find out if your location is especially prone to bad weather. If damage is to be expected, it would be a good idea to get coverage. Asking yourself these questions is a crucial part of understanding whether or not you need contingent business interruption insurance. An important aspect of understanding CBII is knowing what is and is not covered. Earthquakes and floods are not automatically covered by CBII. As a result, they need to be requested and paid for separately. Also, you need to make sure you specify “indirect” suppliers in your insurance policy. Multi-tiered supply chain management involves several manufacturers that indirectly lead to your business. CBII only acknowledges the end of that chain. Therefore, you need to name the indirect suppliers you want covered as well. Finally, there are specific limits to CBII coverage. You need to identify these limits and evaluate appropriateness for your business. Once you have these areas covered, you will have a better understanding of contingent business interruption insurance. “Period of restoration” is one of the most important terms in CBII. The period of restoration is the time it “should” take for an insured contingent to repair damages and resume normal operation. It is the job of the insured to give an estimate on the time. This can lead to difficulty because your access to the contingent supplier might be limited, thereby making it difficult for you to make a proper estimate. Ultimately, you will end up penalized for decisions made by third-parties. Make sure you prepare for this aspect of contingent business interruption insurance. It will help you to understand the risks associated with coverage. If you intend to file a CBI claim, you absolutely must understand the impact other businesses have on your own organization. In order to prepare for a CBI insurance claim, you should spend time identifying the potential areas of loss. Making sure to document these areas in an organized manner will help you to be more effective in your argument. This does not include any remote work, unless it is provided by third party outsourcing company. Keep this in mind if you are looking to buy one of the many CBI insurance plans available. Contingent business interruption insurance is great for risk management. It can help offset lost profits by insuring your main suppliers. You may have manufacturers that supply vital components to your products. If their operations were to be interrupted, you would have no product to sell. CBII’s main purpose is to cover your losses in situations like this. After reading through this post, you will have a better understanding of contingent business interruption insurance and will be prepared to make an informed decision for your business.